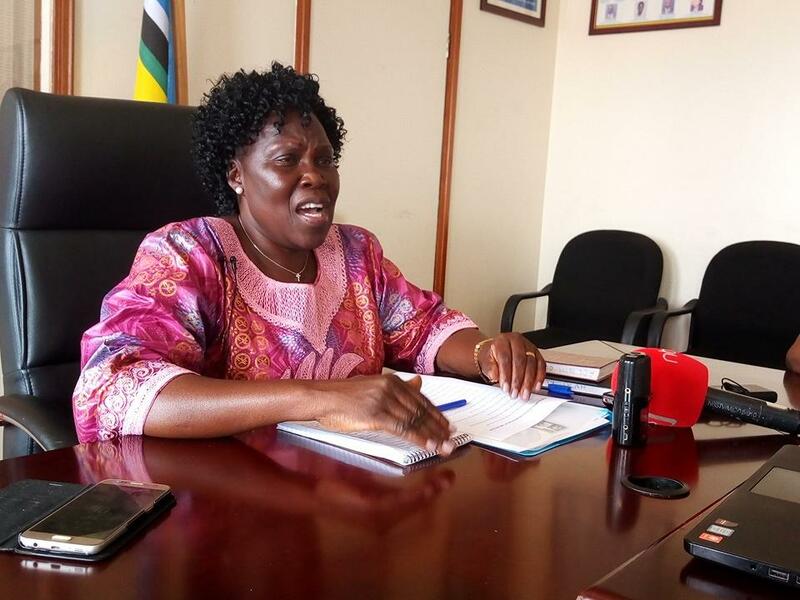 KAMPALA- The new leader of the opposition in Parliament, Ms. Betty Aol Ocan said she will be unavailing the new shadow cabinet immediately after Parliament finishes recess. Ocana made the revelation during a live chat where she engaged the public about her first days in office. The brief engagement was held in the office of the leader of the opposition boardroom. “The inner circle of my predecessor (Winnie Kiiza)might not feel at ease working with me and we must respect that. “I think they can serve me better when they are not in the shadow cabinet. When they are close, their conscious might get them guilty of betraying some people,” Ocana revealed. She said that despite the disunity in the opposition, the 29 member shadow cabinet will consist of members willing to work with her. “I also know that MPs who support the new formation of Mugisha Muntu are more but this will not disrupt the work of Parliament,” she added. Ocana explained that serving the people is not all about Dr. Kiiza Besigye, Gen Mugisha Muntu or Patrick Amuriat, but it is about the people of Uganda. Adding that her office will focus on the Legal Aid Bill among others.